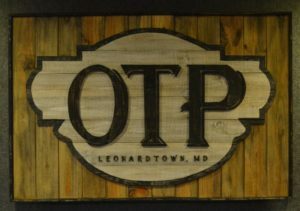 This special event is a FREE, jazz era concert/party in historic Leonardtown with the Chesapeake Swingband performing from 6:00 PM – 9:00 PM in Leonardtown Square. 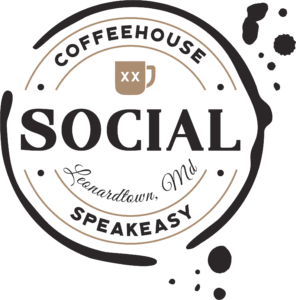 The evening will be a celebration of jazz throughout the 20’s (jazz age), the 30’s-40s (swing era), and the 50’s-90’s (modern and Latin jazz). There will be a special Roaring 20’s dance performance from Ballet Caliente during the evening. Attendees are encouraged to come in their choice of period costume from the 20’s, 30’s, 40’s or 50’s. There will be raffles and prizes awarded for costume. The celebration will continue with after parties at in-town restaurants (see below). Order a Picnic from participating restaurants in town (menu selections offer a variety of options from light refreshments to a full meal and a bottle of wine), and enjoy a kid-free evening with Drop N’ Dine where children will be entertained with kid-friendly activities at participating businesses (by reservation only). 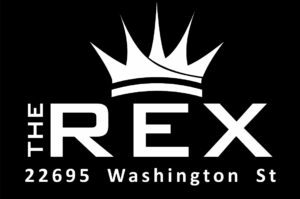 The celebration continues after the concert with jazz-themed after parties at the following restaurants in Historic Leonardtown: The Rex, Social Coffeehouse, and Olde Town Pub. See below for more details! For more information, visit the Leonardtown Summer Music Festival Website at www.leonardtownmusicfest.com. St. Mary’s County resident Susan McNeill shares the rich heritage of her father’s photography of jazz legends and other entertainment stars taken at the pinnacle of the Swing Jazz era during the “Art Share” program. Susan’s father, Robert McNeill, was a celebrated freelance, and later, State Department photographer, and a native of Washington, D.C. Much of the photography on exhibit is set in the streets and venues and in and around Washington in the pre-and post WWII era. Washington D.C.’s U Street-Shaw corridors as well as New York’s 125th St and Lenox Avenue were the boulevards and meccas of “Swing” and of the early modern jazz era of the 1930s and 40s. 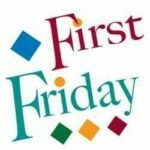 The show will run from July 5 – August 2, kicking off during the First Friday “Art Share” presentation on July 5 from 5:30PM – 6:30PM. 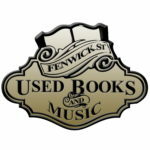 Check out Fenwick Street Used Books & Music near the Leonardtown Square for a wide variety of jazz records on vinyl, many of which would be great for collectors! Have some creative fun while in for the festival weekend! 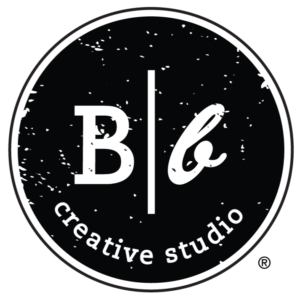 Use the code JAZZ10 to get $10 off any class booked at Board & Brush Leonardtown. Enter the code in the “Apply Code” box at checkout anytime between July 6 – 20. Code cannot be combined with other discounts and discount cannot be applied retroactively. 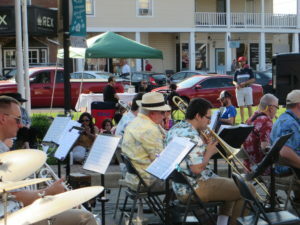 The Leonardtown Business Association has set July 2019 as “Jazz Month” in Leonardtown, and will host a jazz-inspired First Friday on Friday, July 6, 2019, from 5PM – 8PM, with a concert by a jazz band and other jazz fun all over town.